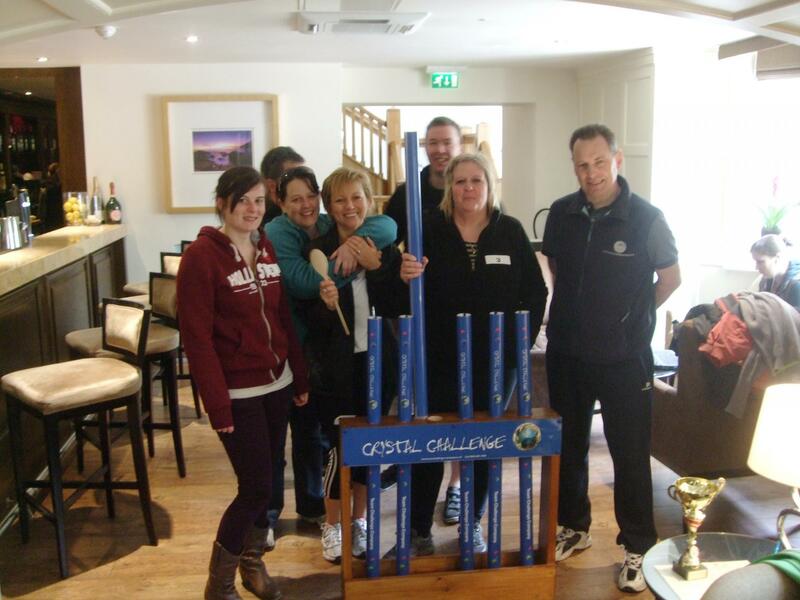 The lovely Woodend Barn in Banchory played host to one of our Crystal Challenge event days on Friday 13th December. 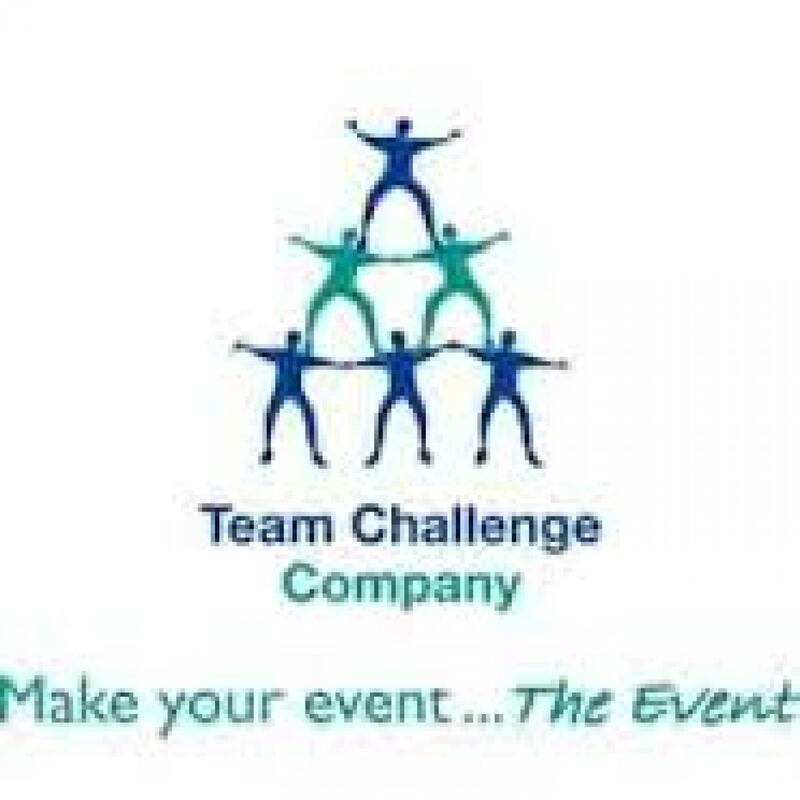 Each team would compete in a specific Team Building activity, before one brave individual stepped up to take on an individual challenge. Our 5 teams were playing for those lucrative crystals! The team at the end of the day with the most crystals would be allowed to spend more time in our Crystal dome to grab that cash! 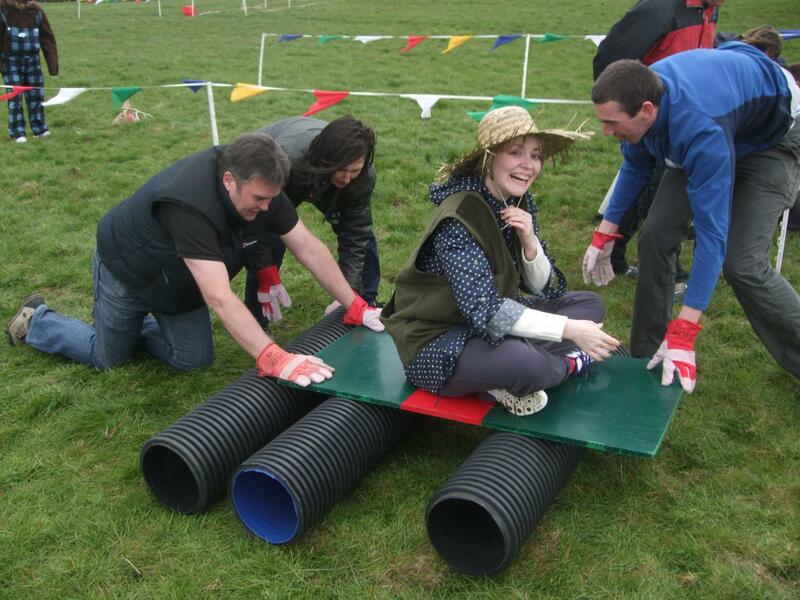 The creative juices were first to get off the mark - with the best team name. Hotly contested by Meet the Fockers!!! They were also spectacular on the Chicken Fox and Grain, even though their farmer looked a tad apprehensive. Meet the Fockers threw the the Towers of Hanoii around the room, but unfortunately did not find a solution. 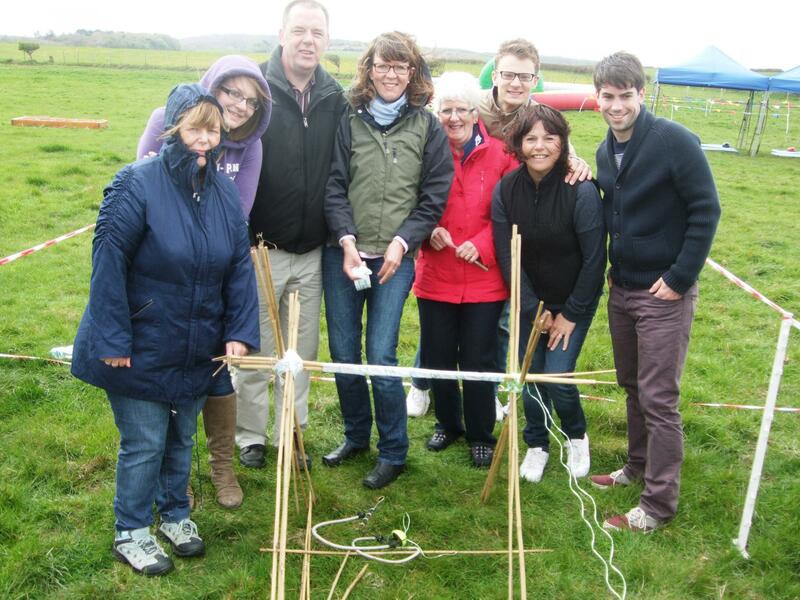 The towers were proving to be quite a stumbling block for everyone, and the hardest team challenge of the day. Team Atom Bomb excelled on the Labyrinth and proved they had a chance of surviving on the moon, after scoring highly in the NASA Challenge. Team Tubes loved the individual challenges and won most of their crystals on Bat the Rat, Rollerball, and the Basketball Shoot. Every team played with integrity and honesty, including the majority of Team Camel!!!!! You know who you are. A few missing crystals retrieved, our Bridge Build finale kicked off with our Teams designing their own bridge to drive our Team Challenge Company car over for a chance to win a final crystal! Some weird and wonderful designs culminated in an exciting and closely fought contest. Team Camel managed to miss their bridge all together and drove the car backwards! With all 5 teams heading into our crystal dome, the clear favourites were the Atom bombs, with a massive 10 crystals and 30 seconds in the dome. 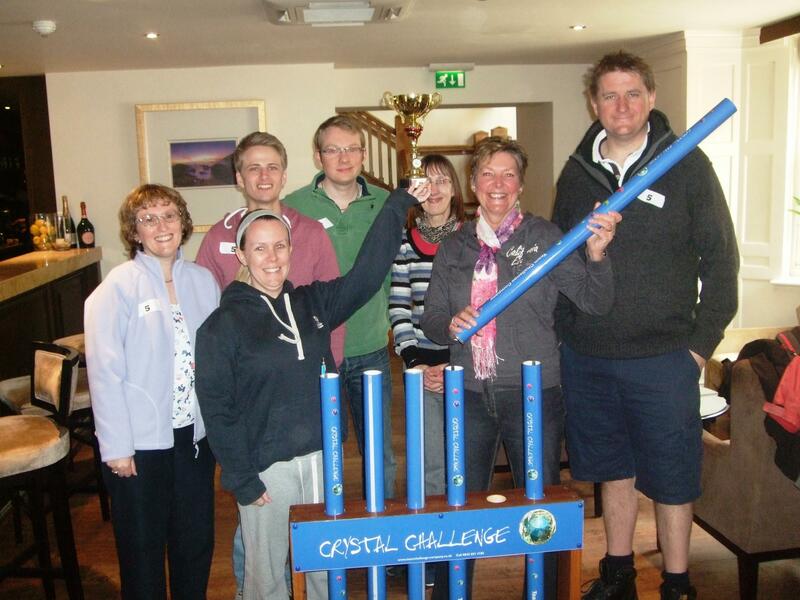 Creative juices, Team Tubes and The Fockers with 7 crystals and 21 seconds, The Camels with just 15 seconds. Arms flailing and with insistent backing from their team, everyone gave it their all to grab that cash. In the end, the margin of victory was settled by only £200! The Atom bombs pipping the Fockers to the post! Creative Juices were just £40 behind that in 3rd, with team tubes fourth on £820 and the camels in last with £480 - Wooden Spoon for them! A fantastic day in a great location, thank you to Fiona for all of the hard work put into the wonderfull Team Building Crystal Challenge event. We can not wait to work with you all again. Just to let you know we had a “fantastic” day on Friday 13th December 2013. 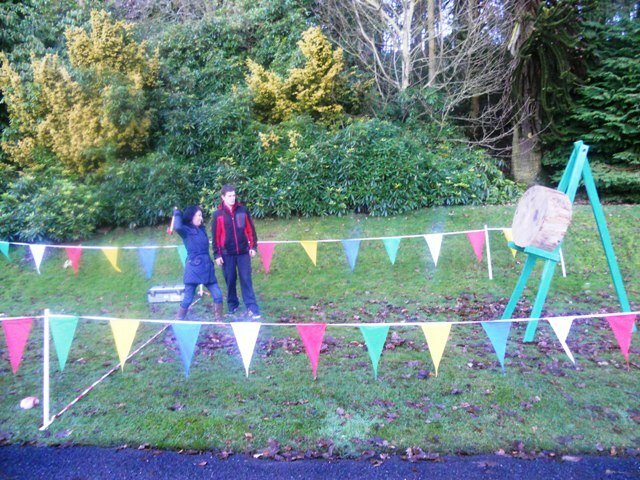 From start to finish the Team Challenge Crystal Maze was brilliant and everyone in attendance thoroughly enjoyed it – as I am sure you can see from the pictures. Rob and his Team certainly put us through our paces but also made the day so much fun. I was delighted to be part of the Meta Team Challenge experience and please pass on our thanks to everyone for making this day such a success.